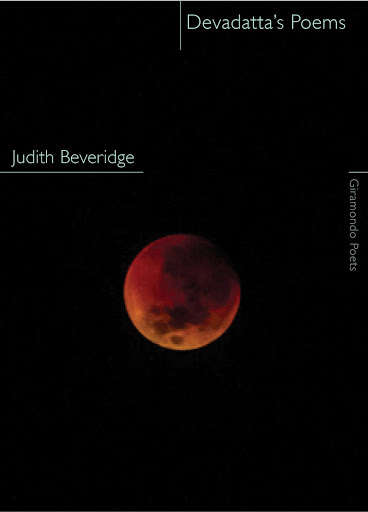 My third venture into the 2015 Prime Minister’s Literary Awards Shortlist (Poetry) sees me explore a raft of Buddhist themes in Judith Beveridge’s “Devadatta’s Poems”. Judith Beveridge’s collection, in her own words, is a highly fictionalized and dramatized” sequence imagining the voice of Devadatta, Siddhattha’s (the Buddha, note that here I’ve used the spelling in the collection not the more common spelling ‘Siddhartha’) cousin. Devadatta attempted to murder the Buddha on three separate occasions in order to usurp control of the Order (Sangha) of monks. He was in love with Siddhattha’s wife Yasodhara, and befriended Prince Ajatasattu, also a Buddhist, who wanted control of the Kingdom of Magadha. For those without any Buddhist knowledge this collection includes an introduction, explaining the relationship between Devadatta and Siddhattha, their caste, the fact that Siddhattha left the town of Kapilavatthu to lead a mendicant life in search of enlightenment, and other historical learnings. The detail around the Buddhist Four Noble Truths and the Eightfold Path are explained in the notes at the conclusion of the collection. of seeing their bowls as bare as their shaved heads? dressing it with oil, or adorning it with feathers. with the same vermillion stick she’ll later apply to her lips. and Yasodhara sobbing out Siddhatta’s name. Throughout this collection of forty-eight poems our narrator, Devadatta, moves through the various human rejections of the Eightfold Path, this is a collection rooted in Buddhist learnings and references (Even the fact that is collection is forty-eight poems is probably a reference – Siddhattha sat under a Bodhi tree for 48 days to understand the nature of reality and the universe, leading to enlightenment and Buddhism, a less likely reference are the forty-eight vows of Amida Buddha, Hōzō Bosatsu Hōzō). The human mental struggle to meditate whilst the mind wanders, in Devadatta’s case wandering to thoughts of Yasodhara and the aches in his body, is a Buddhist musing on “distraction”. The poem itself repetitive signifying the human mind’s propensity to wander to the most pressing issue at hand. There is also a poem on “karma” and Devadatta’s jealousy and spite of the Buddha so out of control that he doesn’t care if his next birth is from “the egg of a louse, a worm, a flea…”. Another very readable collection from the Prime Minister’s Literary Award Shortlist, one that is rooted in Buddhist thought and teachings, but at the same time explores the human frailties of jealousy, desire, rage, indignation and ignorance. Judith Beveridge a lecturer on poetry writing at the University of Sydney, shows she has a deft hand at presenting a large range of themes in even small collections. Source – personal copy. This work can be purchased directly from the publisher here. I didn’t study poetry at University, I didn’t really pay a whole of of attention when we studied poetry in English Literature classes at school. That doesn’t mean I don’t read poetry, I do so, I enjoy reading poetry, I have quite a number of poetry books on my shelves, one day I may even arrange them all in some order, a little corner dedicated to poetry, a bit like the bookshops where you have to dig and delve to find the poetry section, although my collection is a little broader than most of the shops, I have a little more than Keats, Plath, T.S. Eliot, e e cummings… but when it comes to stanzas, didactic cinquains, etherees, tercets, sestinas, I really don’t know what people are talking about. That probably makes my reviews of poetry seem ignorant, but I’m not writing these as part of a study group, I’m not writing these to show my level of education, I am writing these reviews to highlight an art form that sits on the fringes, a form that I enjoy reading, one that has limited coverage on blogs, and if only I highlight to one single reader a potential new book to purchase then I have helped the publisher and poet sell one more book. So forgive me if I don’t instantly recognise a poetic form when highlighting these structures and works. 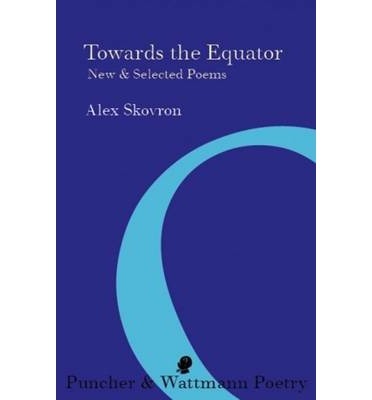 My second read from the 2015 Prime Minister’s Literary Awards Poetry Shortlist was “Towards the Equator – New & Selected Poems” by Alex Skovron. 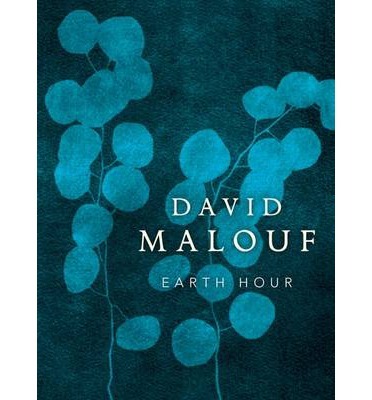 A large volume, weighing in at 288 pages of poems it opens with the book-length new collection Towards the Equator, then continues with poems selected from his five previous collections, book by book, from The Rearrangement (1988) to the prose-poems of Autographs (2008). As you can read in a single poem, there are numerous classical references, and this continues throughout, although only in the occasional poem. clasping me with emotion to declare a truce at last. This collection of poems moves through a massive array of styles, with “Sin Tacks” using the elasticity of language to create a grammatical mish-mash. The equator, in the title, is a place that once you cross it and continue to travel you will eventually return to cross it again, a never ending journey towards and away from the equator, like our collection, like our lives. The earlier poetry included here begin with the 1988 collection “The Rearrangement” with the title work about arranging 1,200 books on seven oak bookcases. The obsession with order is something I am sure all avid readers and book collectors have experienced. This collection includes “An Intelligent Conversation” with a nine verse poem, the 1st, 3rd and 4thlines all rhyme, they all end in ‘ing’, and the 2nd and 5thlines semi rhyme (for example, wood, could, brood, you’d, hood, food), all in all an intelligent poem about an intelligent conversation. 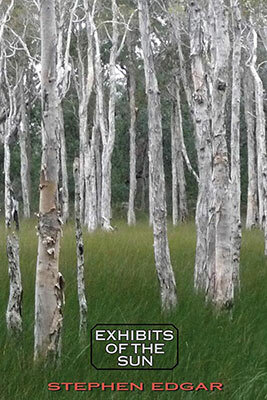 We also have the moving “Lines from the Horizon” a ten page history of the poet’s life from Poland to Australia. The 1992 collection “Sleeve Notes” includes the inspection of the urbane existence, a young troubled life, leading to a job, an unhappy marriage, children, mundane careers, onto aged acre. The title poem is over twelve sections including excerpts from Mozart’s letters, a symphony of his life, strings, flute, clarinet along with canon, codetta and (finally) Lacrimosa. itself; made drunken by the first flush of art. The publication ends with the 2008 collection “Autographs”, solid text prose poems. This is a wonderful collection, spanning close to thirty years of poetry, moving through a raft of themes, tones and techniques. By covering such a vast career and years, we see the development of the poetic art and Skovron’s handling of a complex form, through many styles. Possibly not a book to read from cover to cover, but definitely one that needs revisiting when the mood insists. A fine collection, one that I would have thought would have rated highly in discussions for the winner of the Prime Minister’s Literary Award. Whilst I am revisiting my reading of translated fiction for the last year, I am taking a “sabbatical” of types, away from the translated works I normally read and review. For the last two years I have rarely read a work originally written in English and the exploration of other nation’s cultures has left me some little ways behind in reading books from my home country, Australia. With the recent announcement (on 23 November 2015) of the Prime Minister’s Literary Awards Shortlists, I am taking time away from the translated works to visit the shortlist of poetry works. First up is “Exhibits of the Sun” by Stephen Edgar, only reason being the first cab off the rank is the fact that it was the first to be delivered into my mailbox. Stephen Edgar is a poet who has received a number of awards, including the Australian Book Review Poetry Prize, the Philip Hodgins Memorial Medal for excellence in literature and two William Baylebridge Memorial Prizes, and was shortlisted for the Queensland Literary Award in 2013 for his collection “Eldershaw”. This collection contains thirty-nine poems and opens with “All Eyes”, a poem with numerous circular references, a Ferris wheel, Saturn, its rings, the moon, a lens, a sunflower. The poem touching on creation, decay, destruction with an underlying message of observe, “look” at all around you, you can see what you cannot know. In “Moonlight Sculptures”, our poet is observing the naked female form of his partner falling asleep on a humid night with the bed sheets kicked low, the observation happens by moonlight waiting the dawn. Each verse contains six lines and with rhyme on lines 1 and 4, 2 and 6, and 3 and 5, the structure is not your usual alternate line rhyme. This is a theme throughout, with “The Haunted Pane” with quasi or full rhyme on lines 1 & 4, 5 & 8, 2 & 6 and 3 & 7. And burst in purple fire. There’ll be no end to this. Only an Australian poet would find rhymes for “credit card” (uses “unmarred), as done in the poem “Let Me Forget”, a poem that explores vouchers to redeem, Mercedes Benz and the consumer society. Certainly not your conventional poetry expectation and with the odd rhyming structure you at times feel jarred into paying closer attention….as our opening poem tells us “look”, observe, pay attention!! The book is split into three sections with sections I and II more a celebration of the natural world, observations of the surrounding beauty, then we are led towards a land of decay and death and the reality that beauty is just made of matter, as we are too, “What process could endow/Mere matter with the power to wake and feel.” The movement through the day as we move through the collection, beginning with night, moving through dawn, the day and then finally to sunset. There are also references to modern culture with Wim Wender’s angel in “Wings Of Desire” making an appearance presiding and observing the goings on in Sydney. This is a very Australian collection, and one that brought me straight back to my homeland and the culture, the unique flora, even the suburbs and our backyards featuring. Whether it is strong enough, through that unique approach, to take out the Prime Minster’s Award only time will tell as I work my way through the other five nominees.